The via Appia is one of the first and most important Roman Roads that eventually connected Rome with the port of Brindisi on the Adriatic coast of Italy. It was named after Appius Claudius Caercus who oversaw the completion of the first section of the road in 312 B.C. It was built for Roman troupes to move quickly to the south in their war against the Samnites. Eventually, it grew to become about 350 miles long. 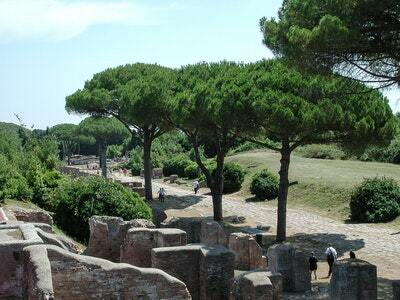 This section emphasizes the portion of the via Appia that is close to the city of Rome.